At the Department of Biological Chemistry, we are engaged in scientific research into the building blocks of life and translating this knowledge into treatments for patients. 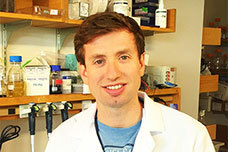 The Department of Biological Chemistry welcomes Rémi Buisson, a new assistant professor. The Department of Biological Chemistry, a basic science department in the UC Irvine School of Medicine, is made up of a diverse and passionate community of researchers who actively pursue a wide range of research interests, including cancer, epigenetics and metabolism, stem cell research and more. 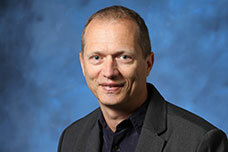 Study of scarless wound healing goes digital with 5-year, $3.3 million NIH grant to UCI trio. Congratulation to Professor Xing Dai for her share of the NIH grant. A study led by UCI's Paolo Sassone-Corsi, PhD, reveals communication among organs and tissues that regulate the body’s energy. The Department of Biological Chemistry welcomes Dr. Rémi Buisson, a newly appointed Assistant Professor. Congratulations to Professor Paolo Sassone-Corsi, the 2018-2019 recipient of the UCI Distinguished Faculty Award for Research, the most prestigious award faculty members can receive from their colleagues. UCI neuroscientist Daniele Piomelli talks about his inventions and research with UCI Applied Innovations online magazine, Tech Currents.